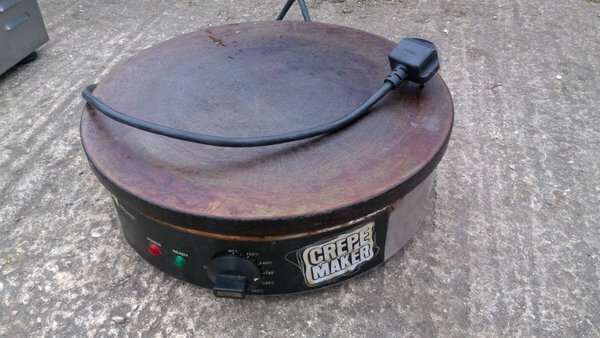 Crepe machine made by J M Posner, 240v, its an old model however tested and in full working condition, PAT tested, 15 1/2 inch top plate. Price includes postage and its a heavy applaince. Price includes shipping with in the UK. 07967015570, or evenings 01249 822595 if no answer leave a message and I will call back.